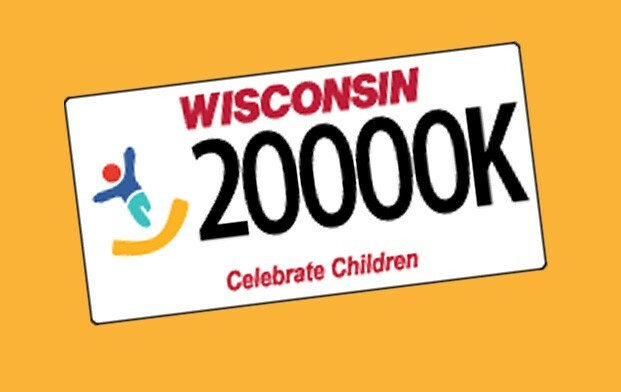 The Celebrate Children Foundation works in partnership with the Wisconsin Child Abuse and Neglect Prevention Board to spread evidence-informed prevention programs and services to communities across the state, while engaging in research to develop innovative approaches. Through resource development, the Foundation expands this work by providing support for prevention programs and building a permanent endowment to ensure long-term investments that build strong children, families, and communities statewide. What is Child Maltreatment Prevention? The Foundation and the Prevention Board mobilize research and practices to prevent child maltreatment through effective public policies, evidence-informed practices and innovative programs to support parents and caregivers, collaboration with key partners to leverage resources and implement initiatives, and education of professionals and the public on child maltreatment issues and solutions. Five for Families is a statewide public awareness campaign developed as a universal prevention strategy by the Prevention Board. The primary goal of the campaign is to increase knowledge of the Protective Factors Framework, an evidence-informed, strengths-based approach to child maltreatment prevention and family well-being promotion created by the Center for the Study of Social Policy. To learn more, visit FiveforFamilies.org. Prevention of abusive head trauma can be achieved through education and awareness. The Prevention Board works with partners statewide to raise awareness about this critical developmental phase in children’s lives, spreading the message that crying is a normal part of development which requires parents and caregivers to have a plan in mind to respond in a safe and healthy way. ACEs are certain negative occurrences in childhood, including abuse, neglect, or household dysfunction, connected to compromised health and well-being in adulthood. Some of the worst health and social problems in Wisconsin can emerge as a consequence of these childhood experiences. The Prevention Board and its partners have supported collection of ACE data to facilitate understanding about the impact of ACEs to inform development of effective prevention strategies. Child sexual abuse is a form of child maltreatment as well as an adverse childhood experience (ACE) and it tends to co-occur with other traumatic experiences in childhood. The Prevention Board provides support to build awareness and conduct training aimed at prevention. Community Response is a voluntary program for families who have been referred to Child Protective Services for alleged child maltreatment but they are not receiving services. This program is family-driven and increases protective factors and strengthens families. The Prevention Board disseminates this program and supports partners throughout Wisconsin in this work. The Prevention Board develops and advocates for public policies that benefit children and families across the state. The Strengthening Families™ Protective Factors Framework guides the Prevention Board’s work and the efforts it supports. This framework helps identify and build on the strengths, assets, and needs of families as a means to enhance the well-being of children while reducing the risk of child maltreatment. The Protective Factors are: 1) Parental resilience, 2) Knowledge of parenting and child development, 3) Social connections, 4) Concrete supports in time of need, and 5) Social emotional competence of children. The Prevention Board promotes evidence-informed positive parenting education programs that reinforce and build protective factors to strengthen all families. Project GAIN is a prevention program and a research project, developed by the Prevention Board and the University of Wisconsin – Madison, School of Social Work, which is implemented in Milwaukee. It addresses the question: “How much maltreatment prevention can be achieved by intervening with at-risk families around economic stressors?” Rigorous program evaluation is being conducted to determine the effectiveness of this strategy. The Prevention Board and partners join forces to promote public awareness efforts throughout the state. Current efforts include: National Child Abuse Prevention Month, CLICK for Babies and the Five for Families campaign. Learn more about the Prevention Board efforts to strengthen families and prevent child maltreatment. Learn more about the Celebrate Children Foundation!